Car Pretty LLC - Tire & Trim - Polishes, Sealer, Bug Remover, Cleaners and Degreasers. Tire & Trim - Polishes, Sealer, Bug Remover, Cleaners and Degreasers. 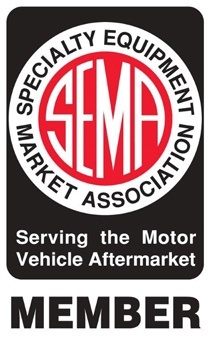 Metal polishes, bug remover, cleaners, degreasers, sealers for your vehicle. All Metal Polish will quickly polish brass, copper, aluminium, stainless steel, chrome, silver and many more types of metal. Removes bug splatter with ease, does not damage wax or coatings, and is 100% biodegradable & pH neutral. The Cleaner & Degreaser removes oil and grime with ease, does not damage wax or coatings, and is 100% biodegradable and pH neutral. The Iron & General Fallout Remover dissolves fallout and brake dust fast, does not damage coatings, and has a high cling formula. 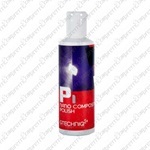 For normal paintwork correction the Nano Composite Polish is the only polish you will ever need. It produces great finishes both by machine and by hand. Restores trim to “as new” condition without altering gloss level. Strong UV absorption filter and chemical bond ensures maximum durability with a single application typically maintaining a flawless finish for up to two years. 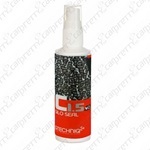 Silo Seal is a layer-able quartz based sealant that’s exceptionally easy to apply. Its quick dry formula combines superior, long lasting gloss and maximum durability. Silo Seal’s chemical binders are extremely UV and acid resistant ensuring that your paintwork retains its high gloss finish for as long as possible. Silo Seal can be used as a stand-alone sealant or on top of the Crystal Lacquer to provide increased hydrophobic properties. Silo Seal can be used on all exterior surfaces including trim and rims. Tyre and Trim has been formulated to keep your tires and trim black and spotless for longer than ever. 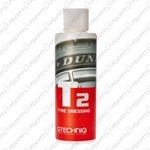 Tyre Dressing is an easy apply durable tire dressing that will not get slung onto your car's bodywork while driving. It is body shop safe, repels dirt and will not degrade your tires in any way. It is also 100% biodegradable. Non acidic environmentally friendly cleaner. 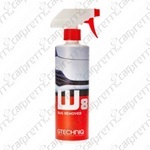 Can be used to clean fabric, engine bays, carpets, alloy wheels, walls, leather etc. Dilute between 20:1 and 2:1 depending on application. Independently proven to outlast other rim coatings, Wheel Armour uses a unique chemical bond to become the functional surface of your rims resulting in easier maintenance as wheels will repel dirt and brake dust. A single application lasts up to one year.